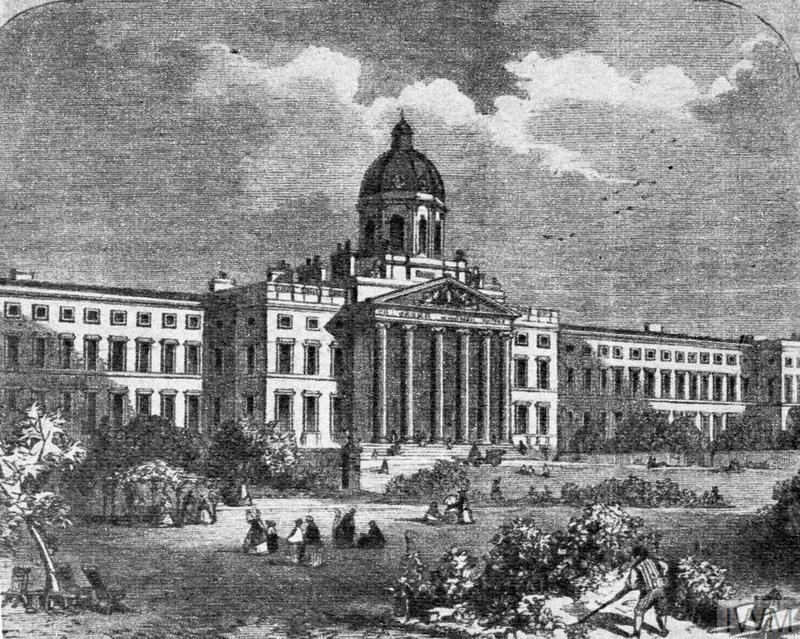 A copy of a 19th century print showing the exterior of the Bethlem Royal Hospital at Lambeth Road, London. The building subsequently became the home of the Imperial War Museum in 1936. 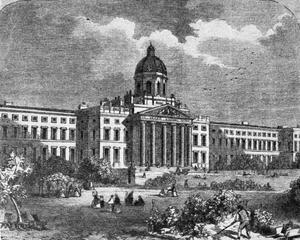 The picture shows the two large wings to either side of the main building, which were demolished to form the space now occupied by the Geraldine Mary Harmsworth Park.